In a newly released YouTube video, famed Photographer Annie Leibovitz discusses her recent photo shoot with Caitlyn Jenner for the cover of Vanity Fair. What will probably end up being the most remembered and important magazine cover from 2015, the first released images of Caitlyn Jenner, were both artistic and journalistic. After undergoing surgery, Caitlyn Jenner, for the first time, posed for the cover of Vanity Fair, which sparked a massive national conversation on gender, sexuality, and beauty, among other topics. 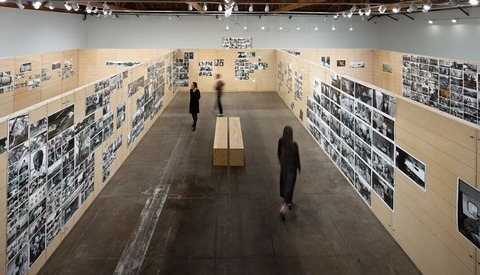 In the video, Leibovitz discusses how during the two-day shoot, Jenner went from silent to running the show in what she describes as an emergence almost symbiotic to her transformation. Leibovitz recalls trying to capture and understand what a woman is and what a woman looks like as a real centerpiece of the photo shoot. 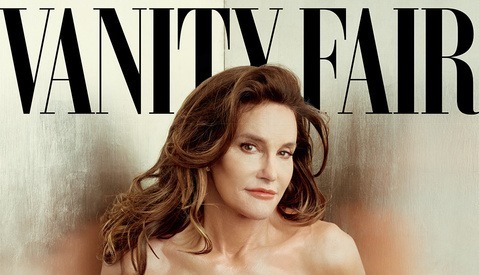 With Jenner breaking down stereotypes, Leibovitz wanted to capture Caitlyn for Caitlyn and show her true self for the first time to the world. Regardless of how you feel about Caitlyn Jenner, Leibovitz had to navigate both journalism and beauty in her photographs. These images were a cornerstone of Jenner coming out and introducing herself to the world, while at the same time needing to be journalistic and editorial. What is telling, though, is how Leibovitz never mentions the technical side to the shoot, only how she needed to capture the essence of Jenner and who she was. As photographers, we can learn something from that; it's not about pixels and gear, but about capturing the true self of someone. How so? What didn't you like about the images? To a point I agree Paulo. With a subject matter that was catapulted to the center stage of almost all media--whether agreeing with Miss Jenner's choices or not--they are simple. But I believe that was the best choice. To do something extremely conceptual like Annie's older work might be more exciting, but I think it may come off as bad taste. I like the "simplicity" of the shoot. As you alluded, the attention surround CJ was a bit of a circus, and so high profile that you couldn't get away from yet. However, the photos are more of a glammed up, "day-in-the-life" styled shoot. There's a quiet, introspective component to the photos that wasn't/isn't present with the media. The whole point of CJ's change was supposed to be able becoming whole and feel at peace, not to say, "Look at me!" Geez Annie, could you at least comb your hair before the interview? She looks like an older version of Peter Hurley. They both ought to take a lesson from Dani Diamond. Talk about image. I don't think she has worried about her own image the last 40 years. Annie couldn't discuss the technical elements of the shoot because her assistants did everything besides click the shutter. I appreciate an article about interacting with your subject. She's made the point many times that she is not "a technical photographer". She relies on a team of assistants to set up and handle lighting. A production team processes and retouches the images. She is focused on what's going on in the image. This is great for her, but for the rest of us we must learn to master all aspects of creating mages. There's always Annie-bashing whenever a new video pops up... So because she's grown to a point where she can use a team to create her "look" she's lost her chops as a photographer? Who do you think trained her team to do it? What makes her a photographer? Her knowledge of lighting and f-stops or her vision and ability to draw something out of her subjects that isn't the a-typical pouting eyes down the barrel? People hate on Annie because she's generally a terrible human being. She's an ok photographer who got lucky. And while she does draw something out of her subjects, she's downright nasty and hateful to everyone else. Haven't heard the 'terrible human being' claim before, I've actually gathered the opposite, e.g. John Keatley talking about shooting her portrait and how they were chatting it up about his Hasselblad, etc. She has quite the reputation for berating her assistants and throwing tantrums. I had the unfortunate experience of being behind her at a coffee shop once and she was completely awful to the baristas, the other customers, and the people she was with. I even read an interview once about a photographer who had to shoot her for an article about her and she was completely uncooperative and told him he was a horrible photographer. There is just no need for any of that sort of behavior. Really? Would you have a link for that article you could share with us?